Isotopes of hydrogen (3H, 2H) and oxygen (18O) are perfect candidates for groundwater tracers. A survey of isotopic composition of 34 groundwater samples and one Lake from Vojvodina region (Serbia) is presented here. 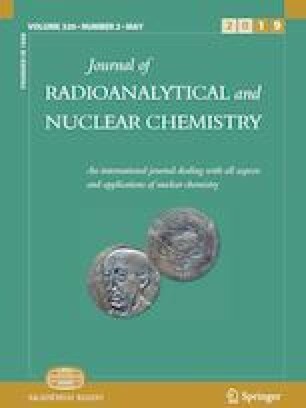 Tritium activity concentration and stable isotope composition (δ2H, δ18O), as well as deuterium excess, were determined. The groundwater samples lie on the groundwater regression line. Minor deviations and a few lower deuterium excess values indicate waters recharged in a different climate regime and subjected to evaporation, respectively. According to the obtained results, most of the analyzed groundwater can be characterized as modern waters, recharged mostly from precipitation. The authors acknowledge the financial support of the Ministry of Education, Science and Technological Development of Republic of Serbia, within the projects No. OI171002 and III43002, and the Provincial Secretariat for higher education and scientific research within the project "Radionuclides in drinking water and cancer incidence in Vojvodina" No. 142-451-2447/2018. This study was a part of the project No. 114-451-2538/2014 financed by Provincial Secretariat for higher education and scientific research of AP Vojvodina.